Invotra is a leading SaaS provider of enterprise intranet and portal solutions. We provide the toolset to help organisations achieve digital transformation by offering an intranet that will give you both control and flexibility, in a highly secure, scalable and accessible way. 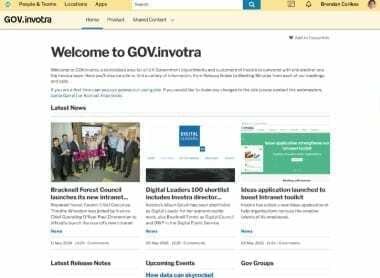 Here you can find out more about ‘The intranet manager’s toolset’, our key product features, PanGov, and Gov.Invotra. 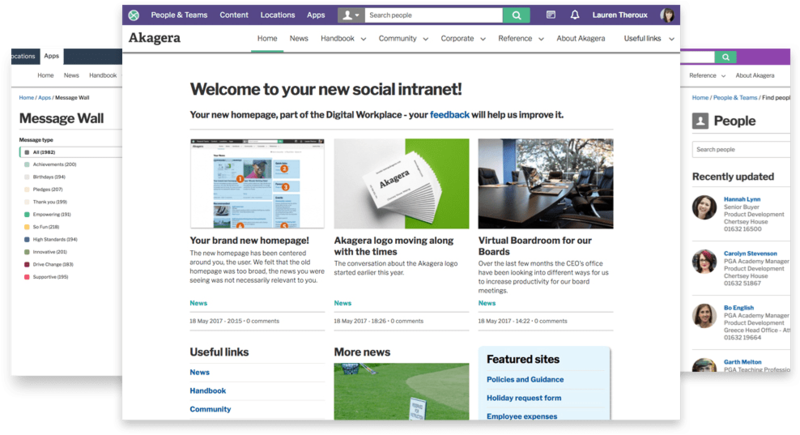 We provide the tools to help you deliver the intranet you want, when you want it. 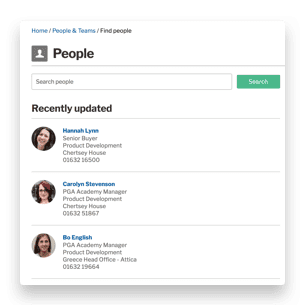 An intranet that will give you both control and flexibility and does this in a highly secure, scalable and accessible way. Invotra cuts through the complexity of the modern workplace, uniting a diverse and dispersed organisation through a secure, flexible cloud solution. This enables advanced information management, social networking and collaboration; any time, on the go and across any location. As a customer of Invotra, you are never alone. One of our top priorities is ensuring that the organisations we provide our service to feel supported throughout their whole journey. Our Gov.Invotra portal allows all of our UK Government customers to communicate with each other and the Invotra team. This provides each member with a unique platform in which they can share best practice. Not only this, but it’s also a secure place where users can ask questions, seek advice and learn from each other’s knowledge. Another way in which we support our customers is our quarterly meeting, PanGov. Once again, all of our government customers are invited to attend. This meeting is invaluable for a number of reasons. For example, people are given the space and freedom to share their feedback, make suggestions and raise any issues. It also allows us to give updates in person, detailing any new or upcoming additions to our product.